specialize in hard to find leaks and custom installations. Fortunately, this is changing. Homeowners have more options available to them than ever before, and have discovered a far more permanent roofing solution – metal. Explore the clear advantages of metal roofing today – learn why metal has become the fastest-growing category of roofing, and why we offers the best value. 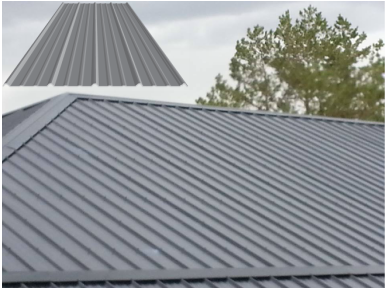 With installation i offers a wide variety of metal roofing profiles and color choices with high performance coating system. This system features multi-layer protection and is warranted for long lasting durability and chalk and fade resistance. 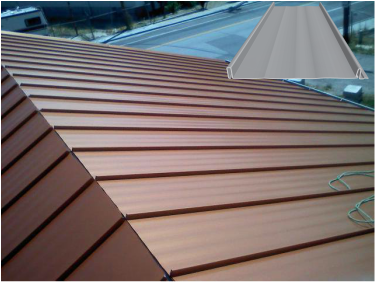 LAP SEAM Residential Metal Roof. Don't Be Shy Call the Roofing GUY ! Call now and schedule an appointment for your free estimates. I don't sale metal roofing.